Sometimes an exhibition so successfully crystallises a change in the way designers think about what they do that it earns itself a place in history. One thinks of landmarks such as ‘Italy: The New Domestic Landscape’ at MoMA in 1972 or Peter Weibel and Bruno Latour’s spectacular ‘Making Things Public: Atmospheres of Democracy’ at the Zentrum für Kunst und Medientechnologie in Karlsruhe in 2005. ‘Design and the Elastic Mind’ is perhaps this order of show. Curated by Paola Antonelli, it is an exhilarating experiment in futurology. Mounted in the high temple of modern art in New York, it is an exercise in messy vitality. What, it asks, will be the impact on our material world – and our own bodies – of new science and engineering coming from the spheres of nanotechnology and biology? And what role might design play in this? And what techniques might best capture the complex flows of information in this fast-changing world? The elastic minds of the title are largely owned by a young generation of designers who are less interested in the commercial applications of new science than in imagining the new worlds in which we might live. Exhibits include the Tissue Culture and Art Project’s much-discussed lab-grown Victimless Leather (here in the shape of a tiny coat); Troika’s Newton Virus, which makes the icons on a computer screen appear to succumb to the forces of real-world gravity; and Typosperma, Oded Ezer’s ‘biotypography’ project, best described as ‘half (human) sperm, half letter’. Conventionally designers have been ‘problem solvers’ for industry but few conventional commercial R&D prototypes are on display here. If anything, a vein of anti-corporate scepticism runs throughout the exhibition. Many exhibitors operate from within the still relatively free spaces afforded by the art school and the university research institute. (I should express a vested interest here: the Design Interactions department under Tony Dunne at the Royal College of Art, where I work, supplied a large proportion of the ‘critical designs’ on display.) Freed from serving the interests of brand-managers and shareholders, design looks very different from the glossy products that fill the pages of the press. Although mounted by an institution renowned for high-brow aestheticism, this is emphatically a design show (but one that lays no claim on that soupy concoction, ‘designart’). The exhibits – despite the strangeness that characterises many of them – aspire to leave the gallery to become part of the world. Some set social agendas about the distribution of intellectual and material resources around the planet. 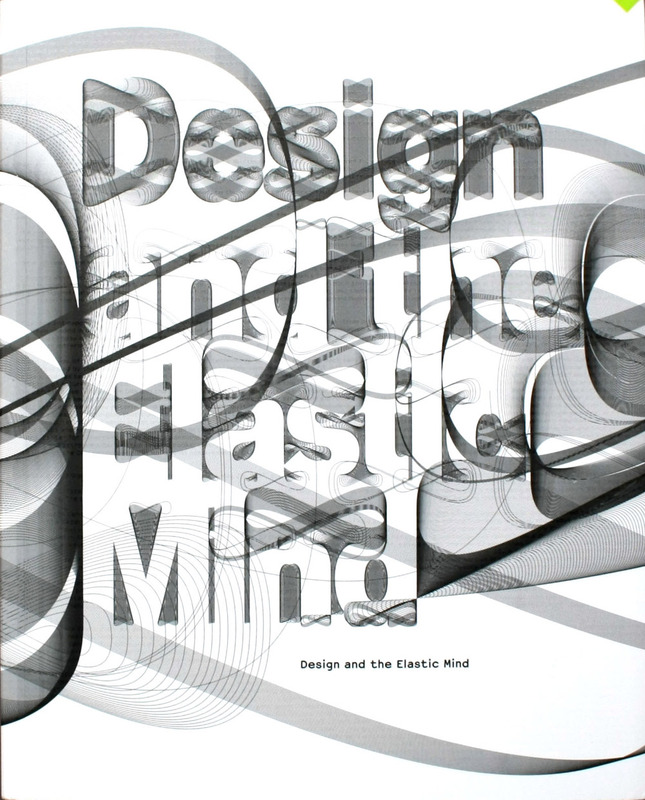 Through such works, ‘Design and the Elastic Mind’ represents a willingness of thinking designers to embrace their role as pilots of the future, a critical position that necessarily means engaging not only with science and new technology but also with the likely social transformations of the twenty-first century. With heady technological optimism long ruled out of court by Cold War anxieties about the ‘military-industrial complex’, and present-day worries about global warming at fever pitch, many of the designs at MoMA display an ambiguous attitude to future science. Will tomorrow be a utopia or dystopia? Irony allows both visions to be combined in one. Simon Heijdens’ Lightweeds are a case in point. Creeping across walls, these ‘living digital organisms’ seem to point to the penetration of nature into the mathematical world of computer code (a reversal of the conventional patterns of genetic modification). But what kind of desiccated world needs virtual plants? Irony is, of course, a risky strategy. Serious thought can be rendered impotent when confused as entertainment. A mouse-sized jacket in ‘victimless leather’ cannot capture the economic and social transformations that will be set in motion if we can grow artificial skins. In this exhibition, graphic design and the techniques of visualisation become almost as important as the dynamic developments in science that they set out to render. The purpose of speculative design is surely not to illustrate new science but to provoke thoughts about its effects and potentials. In its provocations, the achievement of ‘Design and the Elastic Mind’ is that it forms what Bruno Latour might call an ‘object-orientated democracy’, a forum where science and its objects are put under public scrutiny. 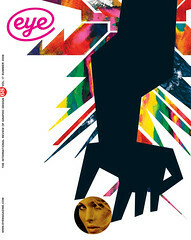 Top: Cover of Design and the Elastic Mind.